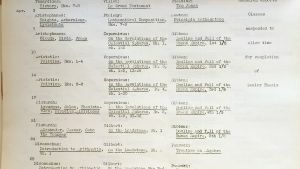 ANNAPOLIS—When St. John’s College adopted the New Program at the beginning of the 1937-1938 academic year, it received attention from around the country for its distinct approach to liberal education. 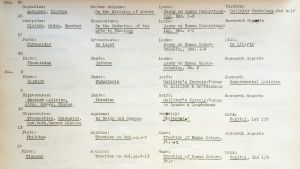 From 1937 through 1940, the radio station WFBR in Baltimore invited various members of the college to give speeches on a variety of topics. 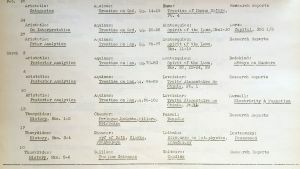 Stringfellow Barr, architect of the New Program, which he preferred to call “the St. John’s Program,” gave many of the speeches. 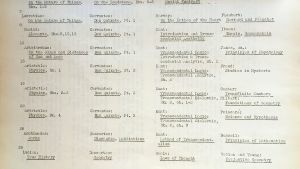 In addition to the talks on WFBR, Barr also provided the reading schedule from the 1940-1941 session. 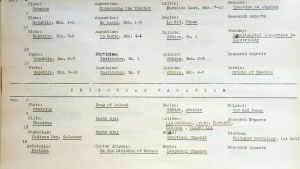 The schedule provides a window into the earliest years of the New Program. 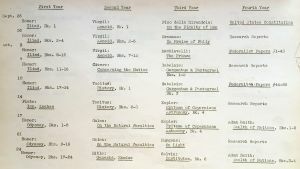 “While St. John’s is not an experiment, in the usual sense of that word, it is an educational program in progress, and those responsible for its well-being expect to learn things continually which they can apply to better its state,” he wrote. 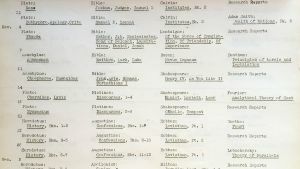 Here are some snapshots of the reading lists during 1940-1941. 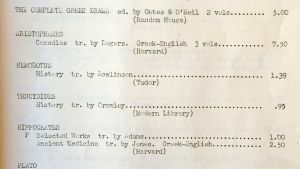 A look at the first year reading list reveals that students could buy a copy of the Iliad and Odyssey for $1.25; the two-volume collection of Plato’s dialogues, translated by Benjamin Jowett, would put a student out five dollars. Postage and handling cost a student five cents.